Rain S/C condensor unit ? It happen when these few days back when it rain heavily, notice the condensing/compressor unit mounted outside window started running when all the inhouse fancoils are not "on". Have to switch "off" breaker for air-con to stop it from running. Assume that the cause is water gets into the outdoor unit, try to switch on breaker. This time the condensing unit did not turn on by itself. The problem now is when I switch on fancoil, the condensing unit does not start up. Can check whats the problem and how much to repair. By the look at what had happened to your air-conditioner. 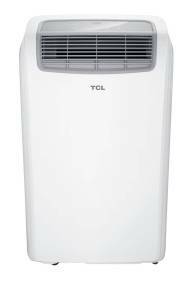 Most probably that the contactor inside the outdoor unit is faulty which causes the compressor to keep running when you switched off your indoor fan coil. We do need to do a troubleshoot on your air-conditioner to confirm that. To engage on our air-con troubleshooting service, it will be $40.00nett exclude parts. Any inquiry, feel free to contact us at 96192088. Join in and write your own page! It's easy to do. How? Simply click here to return to Tell Us Your Air Conditioning Units Problems. Have Questions for us? Or want to book our Aircon Service online? Fill up the contact form below and our staff will get back to you soon. Hintech Engineering & Construction Copyright © 2008-2017 All Rights Reserved.